Well we are really getting close to the line on the container arriving at the port of Coronel about 3 hours north of us. We have run into an issue finding a trucking company that will deliver our container to the house we are staying at. The issue is that trucking companies do not care so much about a one shot deal. The little guy is not on their radar, so they are not so quick to respond and are not so good about giving a good price when they do respond. 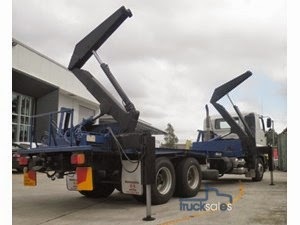 Also these companies may only have one trailer like the one we need and as a result they will need to transfer the container to their only trailer once the container gets south so that they are not tying up their only side load trailer for 2 days. I had a deal with a trucking company last September where they offered to pick up the container at half price since they are typically sending containers to the port with their trucks coming back empty. This would have been about 350,000 CLP or $700 U.S. dollars. Well now they guy has amnesia and does not remember me! I was smart enough to keep his original quote and it has caused a lot of tap dancing on his part, but the refresher of his quote on paper did not jog his memory. So now he wants $1,400 U.S dollars,,,,,,,,,,, jerk! 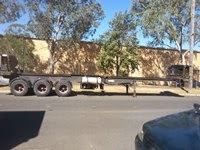 Also he wants me to rent a crane or fork lift instead of using his side life trailer! As a result I am scrambling to find additional quotes.